Browse through our existing designs and take on the challenge of deciding which one is your favourite! After you’ve chosen your stationery, select your package and quantities, and add it to your cart. You can add all of the text for your cards in the ‘Special Instructions’ section during checkout. Don’t see the perfect design for you? Visit our Custom Designs page for more info. After your order is finalised and we have received the text for your stationery, we start designing! If you’re ordering from our existing layout designs, you should receive the first digital proof within 1-3 business days. If you’ve decided to purchase a custom design, please allow 4-7 business days for the first digital proof. You will always have the final say; we won’t print them until you’re happy! Once you’ve approved your designs, we will send them to print. Printing usually takes between 1-3 weeks, depending on the process. 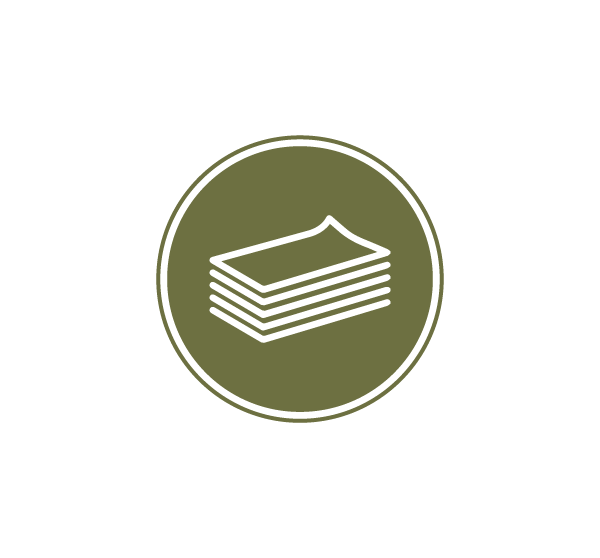 Digital Printing and White Ink Printing have the fastest turnarounds; Letterpress and Foiling have a longer production time. Visit our Printing Options page for more information on printing processes. This is it - your printed goods have been trimmed and finished - and are in the final stage! We package them up and send them straight to your doorstep. We keep you in the loop by providing a tracking number, to ease your stressed-out mind. Still have some questions? Get in touch! When should I be ordering my stationery? When ordering from us, please expect the entire process (from order to delivery) to take around four weeks, at the minimum. This will differ between customers as it can depend on how quickly we receive feedback from you, etc. 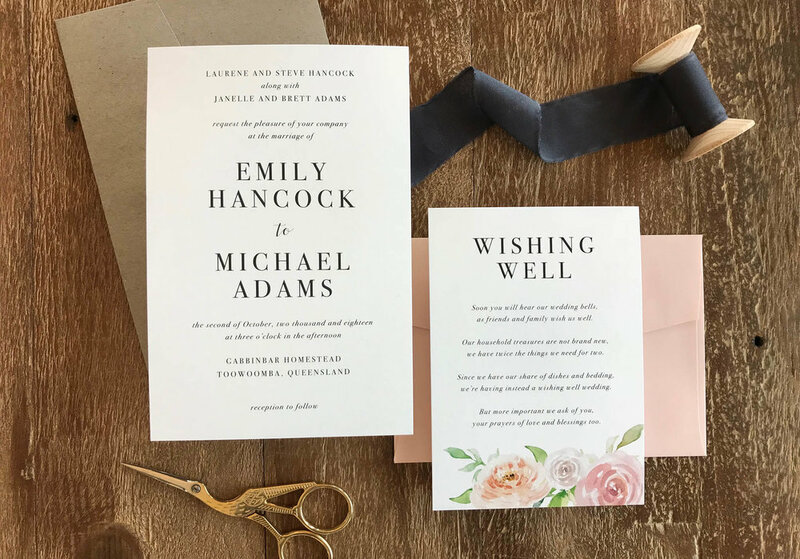 Typically, couples send out their invitations about three months prior to their big day. However, this can vary based on where your guests are travelling from. Having a destination wedding? It’s best to give your guests about 12 months notice, so they can plan their flights and annual leave. Please contact us for rush printing/shipping options.